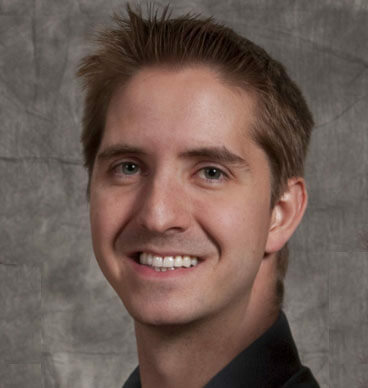 Welcome to the top 10 myths about inventory management. Let’s see if we can clear up some confusion about these. 1. Inventory management is an afterthought of doing business. If you think that managing your inventory is less important than almost anything else in your company then you might have some trouble down the line. Inventory management is essential for business’ success. However, it takes some effort to do it right, which leads us to Myth No. 2. 2. Inventory management is easy. 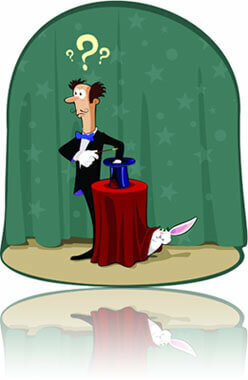 There’s no magic trick that makes the challenge of inventory management go away completely. Inventory management software certainly helps, but it doesn’t make the process easy. It involves generating reports, finding inefficiencies, reordering new parts and products, and even managing multiple locations. There is hope, though. 3. Inventory management is too difficult for me. No way! You can successfully manage your inventory if you have the right tools and you know how to use them. That’s why Fishbowl Inventory offers a comprehensive feature set, as well as training videos and other training tools to help you know how to use all of the software’s features. 4. I should keep managing my inventory the way I always have. Not necessarily. Just because you’ve always done something one way doesn’t mean you can’t make improvements. Inventory management software has come a long way in the past few years. 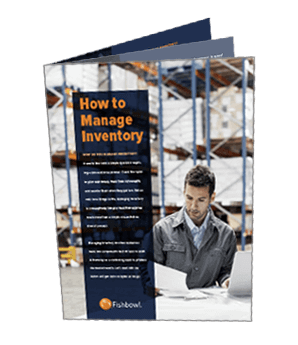 You might be surprised how much money you could save by knowing exactly how much inventory you need at any given time and how you can fix production inefficiencies. 5. Inventory management software is too expensive. Yes, many small businesses can’t afford the expensive inventory management tools that large companies use. The good news is that Fishbowl Inventory offers all the tools a growing small business needs for a fraction of the cost of high-end providers. You can even try a free trial to see if it’s right for you. 6. I have to do frequent inventory checks to make sure I have an accurate count. If you use good inventory management software, you won’t have to do expensive and frequent inventory checks. Using barcodes, scanners and other tools, you can almost always get an accurate inventory count in your database. 7. Only inventory specialists can track inventory and make orders. With barcode scanners and software, almost any employee can receive, order and ship products. It just takes a little training. That way, you don’t have to swamp one employee with all this work, but you can spread it out across a large group. 8. My inventory management system is too messed up to fix. Not so! There is hope, even for wildly inaccurate or otherwise troubled inventory systems. The right inventory management software can solve just about any problem you might be facing. Check out Fishbowl’s case studies to see how other small businesses have effectively used Fishbowl Inventory to turn things around. 9. I should keep as much inventory on hand as possible. It’s a good idea to have enough inventory on hand to meet consumer demand, but it’s risky to have too much. You have a limited amount of money and resources and so you should try to use them to your best advantage. Too much inventory adds to the risk of spoilage and obsolescence, as well. 10. I should have as few products as possible on hand to save money. Don’t you hate it when you order something at a store, but they’ve just run out of that item? What are you likely to do? Perhaps go to another store to buy it. You could lose money and drive customers away if you constantly under-stock your shelves. Inventory management software can help you find a happy medium between too much and too little inventory.